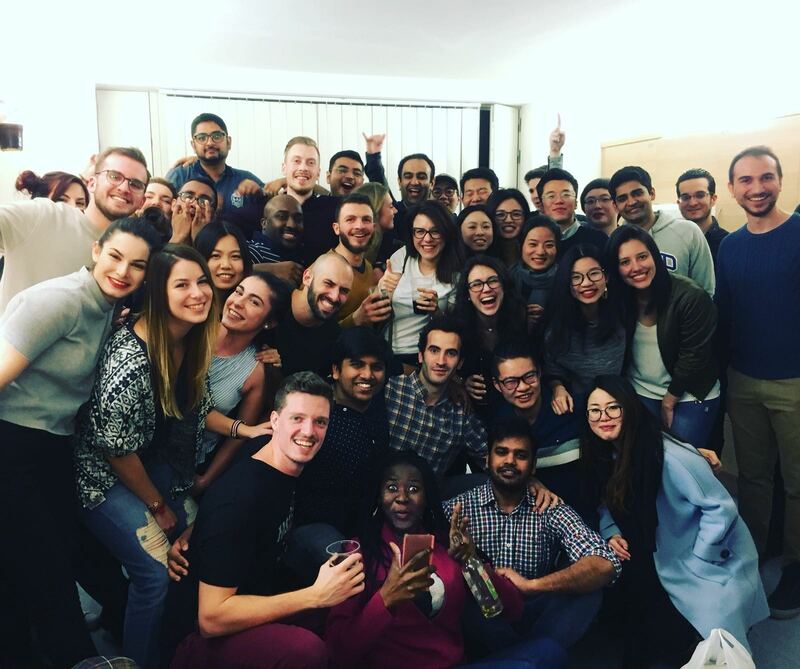 Cranfield University Blogs | Airport design: should they be dull and technical or fun and enjoyable? Airports are in transition, in a shift from the passenger process of getting passengers on and off planes, to passenger service: providing a user-friendly, comfortable travel experience. Occasionally airports are mistakenly called shopping malls, but even the greatest of airports are not quite there yet. They are carefully balanced urban places which provide many qualities of a city, rather than being solely isolated spots where travellers disappear into thin air for a few hours – literally. Airports came to fruition in the US much earlier than elsewhere in the world, and new airports began to emerge further east over the years, first in Europe and then in Asia where there was a greater focus on lifestyle, entertainment and the travel experience as a whole. Changing the basic infrastructure of airports is just as challenging for airport operators as the debate around a third runway in the south east of England. Interestingly, in the US, airports seem to be regarded as basic infrastructure requirements, without much or any focus on their commercial revenue. Landside access is dominated by private cars in contrast to the variety of public transport that is available at most European and Asian airports. Transforming terminal buildings into a different experience is a big task for airport owners and municipalities. It could be that new technologies provide the solution to help integrate digital malls and showrooms for international brands in space-constrained airports. But there is already a different and sensitive approach in US airports. Charles Marshall, Senior Planning Manager of Asset Management at Hartsfield-Jackson Atlanta International Airport, suggested at a recent conference in Frankfurt, that airports are the ‘world’s first airport eco-district’. 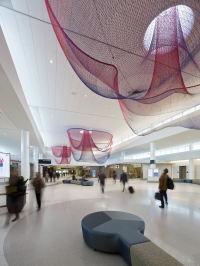 This type of bold move to interact with local communities, art and culture, food and entertainment, as well as knowledge-related activities and opportunities for learning could transform airports into cities. 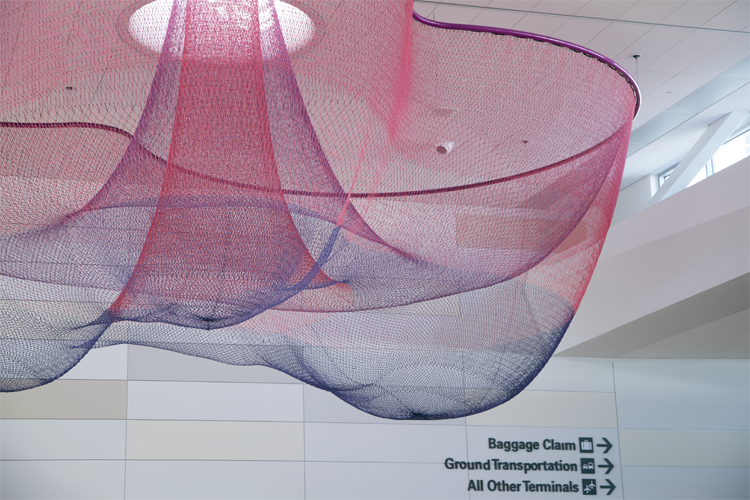 In fact, San Francisco’s airport showcases an Airport Museum, thus revolutionising the airport’s relationship with art. Funded by the City of San Francisco, the museum employs more than 25 staff and consistently refreshes its exhibitions on both air and landside, ranging its presentations from small displays to large scale installations. In response to the need to rethink the economy of airports within an increasingly commercialised and competitive environment passenger movement pattern are changing as passenger expectations of a seamless journey from home to plane increase. Cranfield University will present its research support for airports in their further transition from enclosed, isolated landing strips to inviting, 24/7 urban high streets. Inspired by ‘thinking as the customer first’, the presentation provocatively dissolves the classic terminal by breaking down boundaries between the airport and the city in response to future passenger expectations: plug and go, pods to live in, etc. Committed to cultural and societal change, airports will focus on service culture and process-based facilities to offer a different experience. 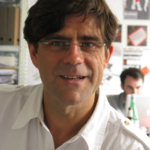 As well as being a Senior Lecturer in Airport Planning and Management at Cranfield University, Henrik Rothe is an ambitious designer, architect and urban planner with more then 20 years of international experience working on highly complex airports and urban developments, public realm design and interiors. Henrik is also the founder of architecture and design practise leit-werk ltd. Henrik joined Cranfield University in September 2015 because he wanted to participate in the debate about contemporary airport design and explore further potential of airports as urban entities.